John Riley reviews the Canon EF 70-300mm f/4-5.6 IS II USM full-frame telephoto zoom lens. Here we have Canon's new, updated version of their moderately priced 70-300mm full frame lens. It offers improved AF, improved optical quality and a new electronic display. 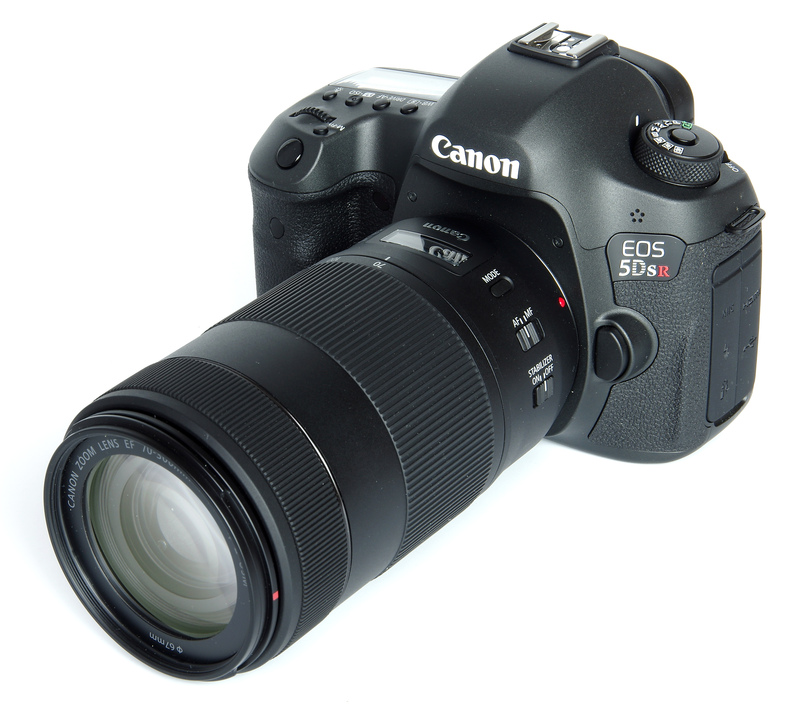 We coupled this to the Canon EOS 5DS R body, so let's see how the lens performs and handles. 70-300mm is a very useful telephoto range, versatile, fairly compact and offering an excellent balance between performance and cost. The step up to 400mm would add a fair amount of cost as well as increasing the size of a lens significantly. The Canon 70-300mm f/4-5.6 IS II USM lens is not the smallest such optic, but balances well on the Canon EOS 5DS R camera body and weighs in at a reasonable 710g. Starting at the front element, we have a 67mm filter thread, surrounded by a bayonet fit for the ET-74B lens hood that is not provided as standard but has to be bought as an additional accessory. It could be argued that most marques provide the dedicated hood with such lenses, and really Canon should do the same. As a separate item, the hood costs an eye-watering £79.99. Most users will no doubt look to third party hoods that can cost considerably less. Immediately behind this, the manual focus ring is electronic in operation. It also allows for manual tweaks to the focusing position when using the AF system. AF uses a nano USM motor, which is fast, silent and utterly efficient in locking onto the focus point. The zoom ring is wide, well ribbed and clearly marked with a range of focal lengths. This can be used in the usual way, but the barrel can also be pushed and pulled at the front to change the focal length. There seems to be no major advantage to doing so, although it is just possible that it might assist in video making to make a smoother zoom action. Closest to the lens mount, we have a series of switches. On the right, there is a lock switch and this can be used to secure the lens at 70mm, to prevent it extending whilst being carried. On the left, we have the Stabiliser on/off, the AF/MF and a mode switch. The mode switch selects the display on the electronic panel. An electronic display of the focusing distance is quite useful as there is no indication on the lens barrel itself. Also on this display is a depth of field indicator that changes as the lens is zoomed. This latter function is not very useful as only f/8 and f/22 appear and the scale is just too small. The second option is a display of focal length set, but again it is of doubtful relevance as the figures are etched very clearly on the lens barrel, right next to the display. Finally, an indicator can show the amount of shake in two directions, but as we are looking either through the viewfinder or at the back screen, having such a display does not really help at all. If the display were not there, the lens would be no less useful and no less easy to operate. The optical construction consists of 17 elements in 12 groups. There is one UD (Ultra-Low Dispersion) glass element. Focusing is down to 1.2m, giving a maximum magnification at 300mm of 0.25x, or 1:4. The diaphragm consists of 9 rounded blades in a bid to improve bokeh, the quality of the out of focus areas in an image. Handling of the lens is superb, all the controls working smoothly and everything is ergonomically well designed. Finish is also superb and the overall feel gives a high degree of confidence. The resolution graphs reveal a complex performance. Starting at 70mm, centrally sharpness is excellent from f/4 through to f/16, after which it drops away significantly. It is still good at f/22 but soft at f/32. At the edges, performance is good at f/4 and f/5.6, but perks up well to become very good at f/8 to f/16. Edges are fair at f/22 and soft at f/32. 100mm sees excellent central sharpness from f/4.5 to f/8 and it remains very good at f/11 and f/16. Sharpness is still good at f/22, but soft beyond that at f/32. The edges are fair at f/4.5, good at f/5.6 and f/8, very good at f/11 and f/16, fair at f/22 and soft at f/32. 200mm sees excellent sharpness centrally at f/5.6 and f/8, very good at f/11 and f/16, good at f/22 but soft at f/32 and f/45. The edges are excellent at f/5.6 and f/8, very good at f/11 and f/16, good at f/22 and soft at f/32 and f/45. Sharpness at 300mm is very good centrally at f/5.6 to f/11, good at f/16, only fair at f/22 and soft at f/32 and f/45. The edges are very good from f/5.6 to f/11, good at f/16, fair at f/22 and soft at f/32 and f/45. Overall, the sharpness can be considered to be very satisfactory and certainly, images are crisp and vibrant. The very small apertures are of course also very soft, but that is to be expected because of diffraction and I suspect not many users employ telephoto zooms at apertures much beyond f/8 anyway. CA (Chromatic Aberration) shows up as colour fringing, and in some circumstances can be clearly seen at the edges. Centrally, the lens is highly corrected at all focal lengths, in fact impressively so. The edges show CA, mostly at either end and less so at middle focal lengths, but in any event, this can be tackled in software and not all subjects will reveal the fringing. Distortion is very well controlled for a zoom lens. There is -1.83% barrel distortion at 70mm, visible but not excessively so. Thereafter we move to pincushion distortion, measuring +0.11% at 100mm (near perfect drawing), +1.66% at 200mm and +1.89% at 300mm. For the sort of subjects likely to be shot at the longer lengths, much of the time this may not need correction, but if necessary we can deal with it in software. Having commented on the lack of a lens hood, the saving grace is that the lens is not susceptible to flare. However, a hood is still desirable, both for extreme lighting conditions and also to help shield the lens against knocks. Bokeh is very pleasant, aided by the telephoto nature of the lens and also by the rounded diaphragm blades. Lenses have an indefinable “look” that cannot really be measured, but aesthetically speaking the results from this lens really do have that certain something that offers attractive looking images. The IS (Image Stabilisation) system is claimed to offer 4 stops advantage. Obviously, that will depend on the individual photographer, and that even varies day to day. Taking the “rule of thumb” that would suggest at 300mm a shutter speed of 1/300 second would be needed to avoid camera shake, it was found that sharp images could be reliably obtained at 1/30 second. This is almost exactly the 4 stops claimed. 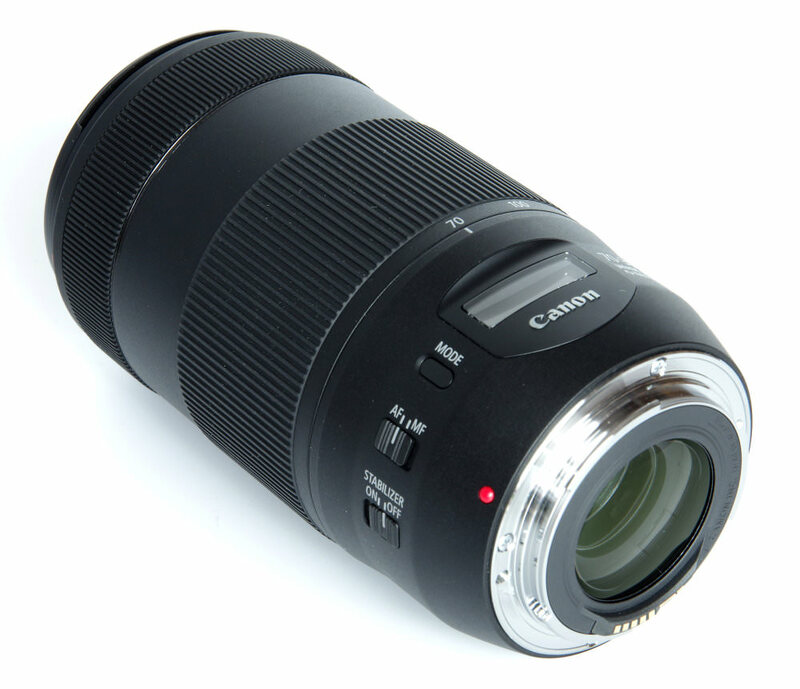 The Canon EF 70-300mm f/4-5.6 IS II USM lens is priced at £449. There are a variety of alternatives in the Canon range. The EF 70-300mm f/4-5.6 L IS USM is priced at £1279 and the EF 70-300mm f/4.5-5.6 DO IS USM costs £1379. Lower cost alternatives are the EF 75-300mm f/4-5.6 USM III (£259), the EF 75-300mm f/4-5.6 III (£115) and the Tamron 70-300mm f/4-5.6 SP Di VC USD (£299). The new lens does seem to offer a fair balance between cost and performance. 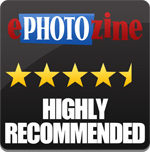 For more options have a look at the Top 15 Best Canon EOS lenses. Canon has produced a lens that provides a high level of performance in a fairly compact and relatively inexpensive form. Unless we are able to stretch to the more expensive zooms in the range, this is a very good compromise between cost and performance. The lens is a very good, solid performer and gives very satisfactory sharp, vibrant images. It is also a pleasure to use. 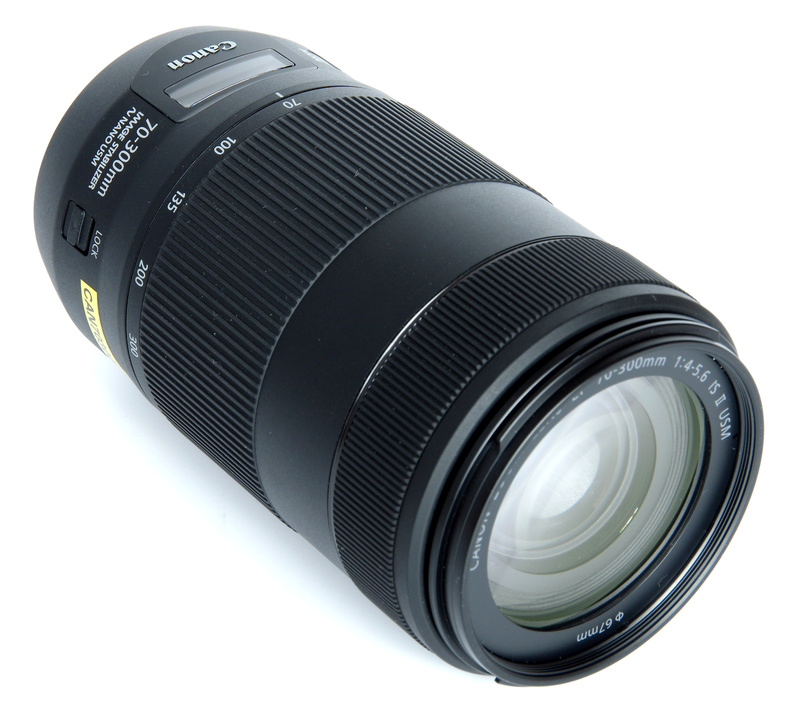 The Canon EF 70-300mm f/4-5.6 IS II USM is an excellent telephoto zoom at a reasonable price. Interesting read. Findings in this review confirm the main points I've read in Justin Abbott's look-on. I bought one last week and I love it. : it's so fast and silent. Good review John. I received mine today from Amazon Canada, at a sale price of $519 Canadian. Looks good, feels good, good balance on the 77D, and the few shots I took late afternoon, overcast, were very encouraging. It seeks to be just about right for walkabout, and I'll give it a workout next week. I had started out with the 300mm f4L IS USM, and it's a cracking lens, but I've found that some of the uses I had planned for it just aren't practical, such as indoor ice hockey; the focal length is too long on the APS-C 77D. I had filled in with the 55-250mm stm, another lens that performs well above its price point. I read reviews on the 70-300mm IS II, and I think it might replace the 2 lenses mentioned, at a good savings. The focusing on this lens is nothing short of amazing, the quickness and smoothness, along with the quietness, from one end of the focal length to the other is magical. Coupled with the electronic 5-axis IS system in the 77D for video, I'm ready for a bit of fun. Thanks for an encouraging review. PS: One question John, are all the sample images shot in jpeg? [quote]And I bought a mint FZ1000 for 600$ from KEH that has a Leica zoom from 24 f2 to 1600 f4(!!!), . weighing just over a pound. With Vivid setting at MAX and an 81B filter i swear my colors are very close to velvia 50. How about that[/quote] Had one for 21/2 years, enjoyed it, it's a fun camera, easy to use. Enjoy! Had one for 21/2 years, enjoyed it, it's a fun camera, easy to use. Enjoy! Denny, all the images are JPEGs, shot at the highest quality setting with all corrections switched off.